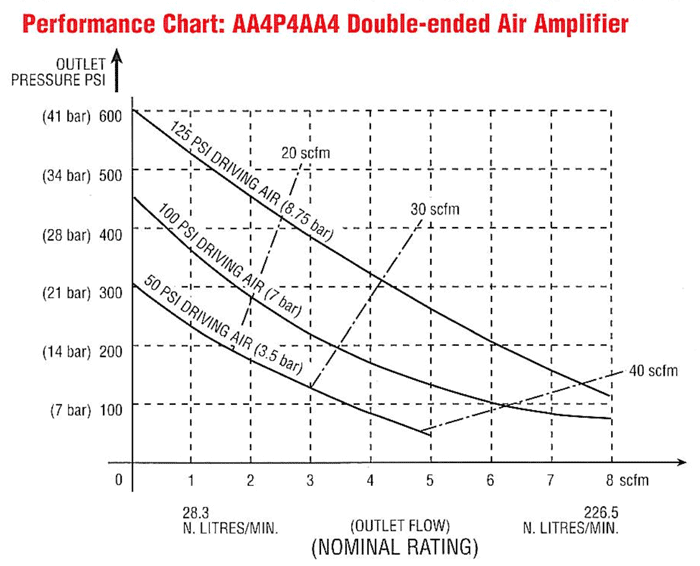 The powerStar 4 air amplifier develops high output pressures by applying the principle of differential areas. It is composed of 1 air motor module (P4) and 1 or 2 air amplifier modules ratio 4,5. The choice of a single or double effect unit is determined according to flow needed. 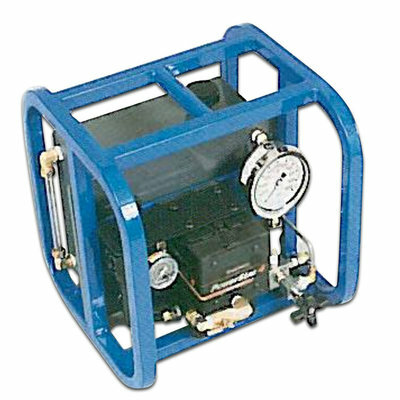 The output pressure depends on the air motor pressure. The last can vary from 1 bar to 9 bar. Petrometalic offers naked air amplifiers as well as equipped ones with surge tank.